Matt McDonald joined the School of Political Science and International Studies in January 2010. After completing his PhD at UQ in 2003, Matt held lectureship posts in international relations at the University of New South Wales and the University of Birmingham (UK), and was Associate Professor in International Security at the University of Warwick (UK). His research focuses on critical theoretical approaches to security and their application to issues such as environmental change, Australian foreign and security policy, climate politics and Asia-Pacific security dynamics. He has published on these themes in journals such as European Journal of International Relations, Political Geography, Review of International Studies, International Theory, Security Dialogue, International Political Sociology and Australian Journal of Political Science. He is the author of Security, the Environment and Emancipation (Routledge 2012) and (with Anthony Burke and Katrina Lee-Koo) Ethics and Global Security (Routledge 2014). He is co-editor of Australian Journal of Politics and History. Security, the Environment and Emancipation: Contestation over Environmental Change (Routledge, 2012). (with Mark Beeson), The Politics of Climate Change in Australia. Special Issue of Australian Journal of Politics and History, 59:3 (2013). (with Tim Dunne), The Politics of Liberal Internationalism, Special Issue of International Politics, 50:1 (2013). (with Anthony Burke), Critical Security in the Asia-Pacific (Manchester UP, 2007). ‘Climate Change and Security: Towards an Ecological Security Discourse?’, International Theory, 10:2 (2018), 153-80. ‘Critical Security in the Asia-Pacific: An Introduction’, Critical Studies on Security, 5:3 (2017), 237-52. ‘Remembering Gallipoli: Anzac, the Great War and Australian Memory Politics’, Australian Journal of Politics and History, 63:3 (2017), pp.405-17. (with Lee Wilson) ‘Trouble in Paradise? Citizen Militia Groups in Bali, Indonesia’, Security Dialogue, 48:3 (2017), pp.241-58. ‘Bourdieu, Environmental NGOs and Australian Climate Politics’, Environmental Politics, 25:6 (2016), pp.1058-78. 'Australian Foreign Policy under the Abbott Government: Foreign Policy as Domestic Politics?' Australian Journal of International Affairs 69:6 (2015), pp 651-669. ‘Discourses of Climate Security’, Political Geography, 33 (2013), pp.43-51. (with Christopher S. Browning),‘The Future of Critical Security Studies: Ethics and the Politics of Security’, European Journal of International Relations 19:2 (2013), pp.235-55. 'The Failed Securitization of Climate Change in Australia’, Australian Journal of Political Science, 47:4 (2012), pp.579-92. ‘Lest we Forget: The Politics of Memory and Australian Military Intervention’, International Political Sociology, 4:3 (2010), pp.287-302. 'Securitization and the Construction of Security', European Journal of International Relations, 14:4 (2008), pp.563-87. (with Katharine Gelber) ‘Ethics and Exclusion: Representations of Sovereignty in Australia’s Approach to Asylum-Seekers’, Review of International Studies, 32:2 (2006), pp.269-89. ‘Fair Weather Friend? Australia’s Approach to Global Climate Change’, Australian Journal of Politics and History, 51:2 (2005), pp. 216-34. ‘Human Security and the Construction of Security’, Global Society, 16:3 (2002), pp. 277-95. On climate change, and in particular its relationship to security, Matt has acted as a consultant for the UK's Foreign and Commonwealth Office and prominent public policy thinktanks such as the Royal United Services Institute (UK), and his work has been cited in publications by representatives of UK's Department for International Development (Harris 2012). He has been a member of Australia's stakeholder briefing group for the UNFCCC climate change talks. He has also worked with policy-makers, industry groups and NGO representatives in communicating research work on the politics of climate change in Australia. He hosted a dedicated interdisciplinary workshop on this theme at UQ in 2012. 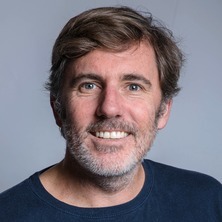 Matt has contributed to broader public debate on issues relating to climate change and Australian foreign policy through media work, in particular opinion editorial publications in The Sydney Morning Herald, The Australian Literary Review, ABC's The Drum, The Conversation and the Lowy Interpreter. And he has been invited to present his research in Australia and beyond: a combination of seminars and public lectures at leading institutions in Australia (ANU, Sydney, UNSW, Griffith), the UK (Warwick, St Andrews, Glasgow, Birmingham, Manchester, Queen Mary, Leeds, Nottingham, Aberystwyth, Leicester) and mainland Europe (Copenhagen, Sciences Po Paris, Geneva, Hamburg). Journal Article: Climate change and security: towards ecological security? Burke, Anthony, Lee-Koo, Katrina and McDonald, Matt Ethics and global security: a cosmopolitan approach. Abingdon, Oxon, United Kingdom: Routledge, 2014. McDonald, Matt Security, the environment and emancipation: contestation over environmental change. Oxon, U. K.: Routledge, 2012. Dragon or Panda? The United States and the Macrosecuritisation of the "China Threat"
Climate change and security: towards ecological security? Williams, Paul D. and McDonald, Matt (2018). An Introduction to Security Studies. In Wiliams, Paul D. and McDonald, Matt (Ed. ), Security Studies: An Introduction 3rd ed. (pp. 1-13) London, United Kingdom: Routledge. McDonald, Matt (2018). Constructivisms. In Wiliams, Paul D. and McDonald, Matt (Ed. ), Security Studies: An Introduction. 3rd edition 3rd ed. (pp. 48-59) London: Routledge. McDonald, Matt (2017). Ecological Security. In Clara Eroukhmanhoff and Matt Harker (Ed. ), Reflections on the posthuman in international relations: The anthropocene, security and ecology (pp. 62-72) Bristol, United Kingdom: E-International Relations. McDonald, Matt and Mitchell, Audra (2017). Introduction. In Clara Eroukhmanhoff and Matt Harker (Ed. ), Reflections on the posthuman in international relations (pp. 1-8) Bristol, United Kingdom: E-International Relations. McDonald, Matt (2016). Australia and Global Climate Change. In Steve Smith, Amelia Hadfield and Tim Dunne (Ed. ), Foreign Policy: Theories, Actors, Cases 3rd ed. (pp. 394-410) Oxford, United Kingdom: Oxford University Press. McDonald, Matt (2016). Whose security? Ethics and the referent. In Anthony Burke and Jonna Nyman (Ed. ), Ethical security studies: a new research agenda (pp. 32-45) London, United Kingdom: Routledge. Eckersley, Robyn and McDonald, Matt (2014). Australia and climate change. In Daniel Baldino, Andrew Carr and Anthony Langlois (Ed. ), Australian foreign policy : controversies and debates (pp. 230-251) South Melboure, Vic., Australia: Oxford University Press. Jackson, Richard and McDonald, Matt (2014). Constructivism, US foreign policy, and counterterrorism. In Inderjeet Parmar, Linda B. Miller and Mark Ledwidge (Ed. ), Obama and the world : new directions in US foreign policy 2nd ed. (pp. 15-28) New York, NY United States: Routledge. McDonald, Matt (2014). Contesting border security: emancipation and asylum in the Australian context. In Thierry Balzacq (Ed. ), Contesting Security: Strategies and logics (pp. 154-168) Abington, Oxon, UK: Routledge. McDonald, Matt (2012). Australia and global climate change. In Steve Smith, Amelia Hadfield and Tim Dunne (Ed. ), Foreign policy: theories, actors, cases 2nd ed. (pp. 384-399) Oxford, United Kingdom: Oxford University Press. McDonald, Matt (2012). Human security and the politics of security. In Dennis Altman, Joseph A. Camilleri, Robyn Eckersley and Gerhard Hoffstaedter (Ed. ), Why human security matters (pp. 107-126) Crows Nest, NSW, Australia: Allen & Unwin. McDonald, Matt (2010). The environment and global security. In Pinar Bilgin and Paul D. Williams (Ed. ), Global security and international political economy (pp. 283-305) Oxford, U.K.: UNESCO; EOLSS Publishers. McDonald, Matt (2009). Emancipation and critical terrorism studies. In Richard Jackson, Marie Breen Smyth and Jeroen Gunning (Ed. ), Critical Terrorism Studies: A New Research Agenda (pp. 109-123) London: Routledge. McDonald, Matt (2008). Constructivism. In Paul D. Williams (Ed. ), Security studies: An introduction (pp. 59-72) Milton Park, Abingdon, Oxon, U.K.: Routledge. McDonald, Matt (2008). Global security after September 11 2001. In Simon Carter, Tim Jordan and Sophie Watson (Ed. ), Security: Sociology and Social Worlds (pp. 47-80) Manchester: Manchester University Press. Burke, Anthony and McDonald, Matt (2007). Introduction: Asia-Pacific security legacies and futures. In Anthony Burke and Matt McDonald (Ed. ), Critical Security in the Asia-Pacific (pp. 1-9) Manchester, U.K.: Manchester University Press. McDonald, Matt (2007). US Hegemony, the War on Terror and the Asia-Pacific. In Anthony Burke and Matt McDonald (Ed. ), Critical security in the Asia Pacific (pp. 198-211) Manchester: Manchester University Press. Australian foreign policy under the Abbott government: foreign policy as domestic politics? Climate Security and Economic Security: The Limits to Climate Change action in Australia? McDonald, Matt (2009) Security and environmental change. International Affairs, 85 6: 1262-1263. Jackson, Richard and McDonald, Matt (2009) Constructivism, US foreign policy and the 'war on terror'. New Directions in Us Foreign Policy, 18-31. McDonald, Matt (2009) Emancipation and critical terrorism studies. Critical Terrorism Studies, 109-123. McDonald, M (2004) International environmental cooperation: Politics and diplomacy in Pacific Asia. Australian Journal of International Affairs, 58 3: 389-391. McDonald, Matt J. (2002) Fear, security and the politics of representing asylum seekers. M/C Journal: A Journal of Media and Culture, 5 1: . McDonald, Matt (2001) Book Review: Cynthia Weber: International Relations Theory. Millennium: Journal of International Studies, 30 3: 832-833. McDonald, Matt (2001) Making waves? The environment and security as a contracting discourse. International Journal of Human Rights, 5 3: 111-126. McDonald, Matt (2004). Power and identity : the environment and the construction of security PhD Thesis, School of Political Science and International Studies, The University of Queensland.